5. Canine & Co approved dog carers must not seek to attract or take business directly without going through the agency’s established booking system and must in the interest of our clients not board additional dogs from any other agency or independently whilst a Canine & Co client is staying without prior approval. This therefore requires carers to operate exclusively with Canine & Co and no other dog boarding/sitting organisation. 6. 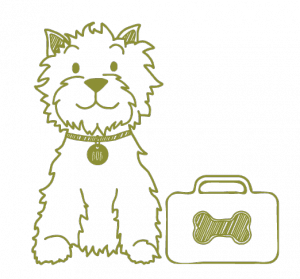 Canine & Co approved dog carers due to the exclusive booking service offered by Canine & Co and welfare of dogs staying are not be permitted to operate private paying boarding clients also. 10. All Canine & Co carers must undergo an interview within their own home before approval and may be re-visited at any time by prior appointment. Where circumstances change (e.g house move) Canine & Co will be required to re-visit the carer. 11. Approved carers should not board more dogs than their licence allows. If an owner requests in writing, that they wish only their dog(s) are boarded and we have accepted this request, then except in the case of cross over (delivery and collection times over lapping) this must be adhered to. 13. Approved dog carers should provide clean, dry, warm, draught-free bedding space; an area for dogs to relieve themselves; food, fresh water, exercise to owners requirements and maintain the guest dogs normal routine as much as is possible. Approved carers should provide tag’s with their contact details on and attach this to all guest-dog’s collars (for the duration of the stay only) so that they may be contacted in the event of a guest-dog going missing. 20. Canine & Co reserves the right to re-visit any approved carer and if necessary to inspect their premises to ensure that the Code of Practice and Term’s and Conditions are being adhered to. 21. Approval will be cancelled for any breaches of the Code of Practice/Term’s and Conditions. In the event of cancellation, for any reason, the person concerned will have no rights to operate as an approved Canine & Co carer. Failure to comply or any active attempt to ‘poach’ existing Canine & Co clients will be met with legal action.